Patients following these medical instructions can expect to have more hair in the future. 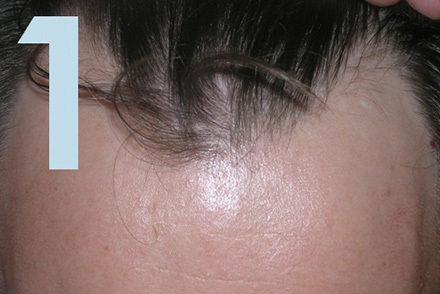 Sometimes the cause is genetic and hormonal (ANDROGENETIC ALOPECIA). Other times the cause is allergic or associated with stress like in ALOPECIA AREATA. Phototrichoscopy: using a microscope to see small details. Phototrichogram: Plucking of the hairs to study their root. 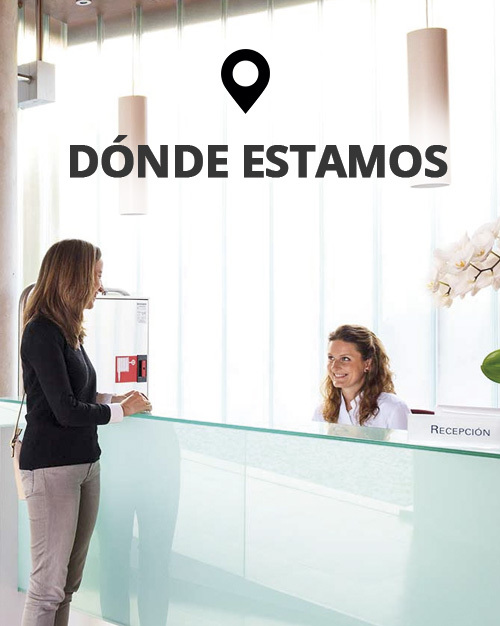 Blood test: patients are welcome to bring their latest blood test. Rebora Test: Avoid washing your hair for 4 days. On the fifth one collect all the hairs and count them. 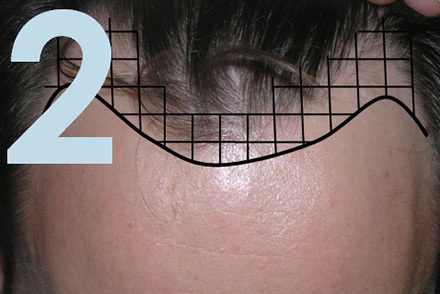 Counting hairs: useful to evaluate the efficacy of treatments. 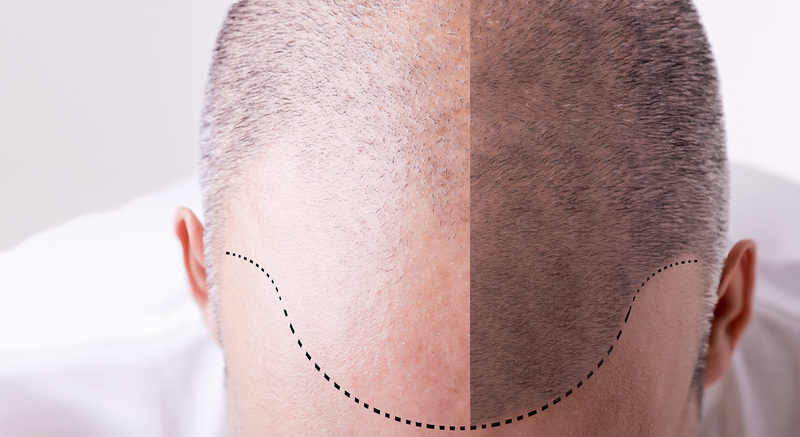 Many patients want to solve their hair loss with hair transplantation. But they are obliged to take care of the hair they haven’t yet lost and to increase it if possible. Today, it is possible to say that medical treatment of hair loss can stop and even stimulate hair growth. Patients that follow medical instructions can expect to have more hair in the future. 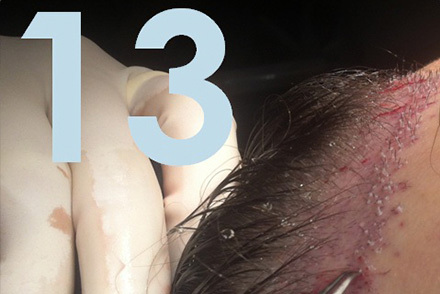 Scalp infiltrations with a combination of active ingredients such as Minoxidil and Finasteride. Sessions are done every month. This program is made up of monthly sessions for the whole year. They are recommended in specific cases of alopecia. These sessions include ain infiltration and one session of Low Level Laser Therapy. 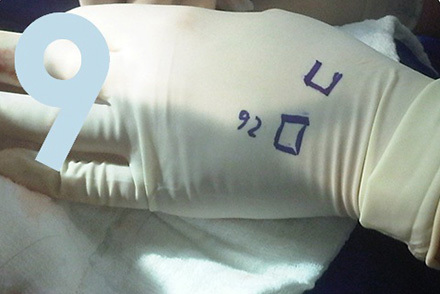 A part of the treatment will be done in the clinic. The other part you will do personally in your home. 1970: In the 70s a new drug was introduced for the treatment of heart problems: MINOXIDIL. 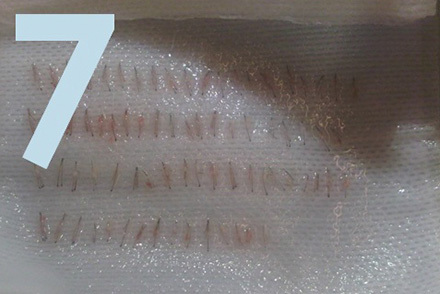 Soon it was realized that these patients grew more hairs in the scalp. 1980: In the mid 80s a new product was available to stop baldness. Its name was Rogaine and its price was high. It was a 2% formula and clinical studies showed that it was effective to stop baldness. 1990: In the 90s, 5% minoxidil was found to be superior to 2% minoxidil. 2000: At the beginning of the 21st century it has been shown that the infiltration of minoxidil grows more hair than its topical application. Infiltrations grow TWICE AS MUCH hair as its application. Pharmacological effects: MINOXIDIL is a vasodilator but its effect is not vascular. Other vasodilators don’t provide this effect of growing the hair. 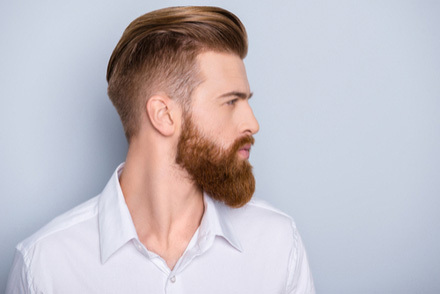 Minoxidil grows hair, increases its density and its thickness. Adverse events: Some patient might develop headache or excess hair growth in other areas of the face. One clinical study revealed that 1 out of 25 patients developed some kind of irritation. Is Minoxidil more effective than Finasteride? It seems that its combination is best. 1995: One report shows that a patient following treatment with FINASTERIDE, a drug used to prevent Prostate Cancer, develops new hair in the scalp. 1996: Several clinical studies, double blind confirm that FINASTERIDE 1 mg every day increases the density of hair in the scalp, its thickness and its longevity. Studies following these patients for 5 years show they have more and thicker hair compared to baseline and to other patients not taking the same medication. Pharmacologic effect: FINASTERIDE is an inhibitor or 5AR, the enzyme responsible to convert Testosterone into Dihidrotestosterone. The first hormone is responsible for libido, muscular strength and sexual desire. The second one reduces the size of hair and increases that one of prostate, increasing the risk to suffer prostate cancer. Patients taking 5 mg of FINASTERIDE daily for 7 years saw their risk to suffer prostate cancer reduce 24.8%. Adverse effects: patients taking finsateride have reduced levels of PSA. PSA is a product of the prostate and reveals its risk to become a cancer. To find the real levels of PSA in men taking finasteride, measured levels have to be multiplied by 2. Some patients taking finasteride detect a reduction in sexual desire but clinical studies haven’t found a significant difference between taking and nor taking this medication. There is another drug that inhibits 5AR: DUTASTERIDE. This drug is taken in doses of 0,5 mg per day and is stronger than FINASTERIDE. It is not yet indicated in the treatment of baldness but some patients that respond poorly to finasteride can benefit from it. Adverse events: DUTASTERIDE is a stronger medication when compared with other 5AR but it hasn’t been shown to have more adverse events. 1964: The use of LED or Low Level Laser therapy is each day more common for hair growth. Its history starts in the 60s when it was shown that red lasers could stimulate cell growth and proliferation. 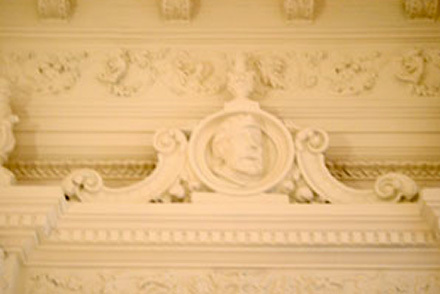 Dr. Mester in Budapest published in 19h he observed that mice hair grew and wounds cured faster. He tried later this treatment in leg ulcers and discovered that 57% of them closed after 5 months of laser treatment and a previous year not closing with conventional therapy. 2009: The FDA approves the first device for hair growth is approved. It uses red light in the 635 nm band. 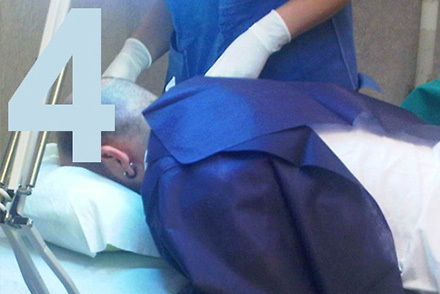 Today there are many systems used for hair loss treatment. We use a red 635 nm wavelength providing 150 mW/cm2, which is 3 times the irradiance of the sun. We associate these with infiltrations in which the medication is used to stimulate hair growth. This is an antifungal drug used to kill fungus in the hair when dandruff is important. 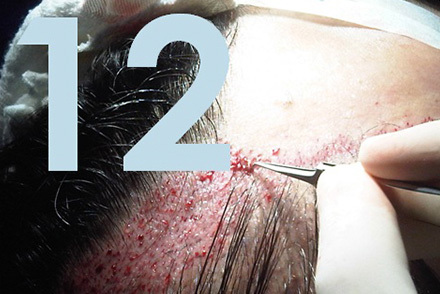 It has been shown that a lotion containing 2% is as effective as the use of MINOXIDIL 2%. Its mechanism of action is not well understood but all protocols for hair loss treatment should include KETOCONAZOLE. 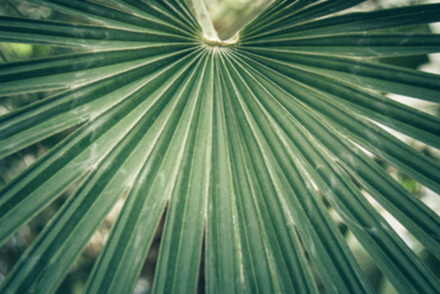 The Saw Palmetto is extracted from the Brazilian palm tree. It is a 5AR and acts as finasteride or dutasteride. Because it is a natural product and not a drug, it can be taken or applied in many products. 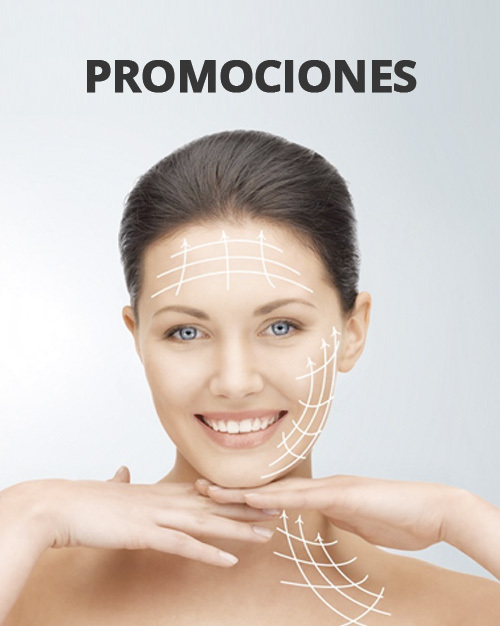 It is the hormone of pregnancy and prolongs the life and cycle of the hair. It is used in the treatment of hair loss in women. It is the most important female hormone and is administered as Ethinyl Estradiol in women with ovary problems. Sometimes it is used in formulas in women. La estrona es otra homona femenina que es 20 veces menos potente que el Estradiol. Se emplea en formulaciones magistrales para estimular el crecimiento del pelo en mujeres. Orally. We can administer drugs such as Finasteride, Dutasteride or substances like saw palmetto or vitamins. We can make special formulations with minoxidil, finasteride, Dutasteride, Estradiol, Progesterone, Ketoconazole, Saw Palmetto or vitamins. By infiltration. By this way we can achieve concentrations 100 times superior than by a topical product. We administer like this Minoxidil, Progesterone, Finasteride, Dutasteride and Growth factors in Platelet Rich Plasma (PRP). One study showed that infiltrations are capable of growing twice as much hair as topical treatments. Blood is very rich in platelets that contain many growth factors. These factors stimulate follicular stem cells that in turn unite to build up new follicles making the number and density of hair in the scalp grow. Many factors have been studied regarding its influence on hair loss. Only smoking has been clearly associated with the increase of hair loss in people with ANDROGENETIC ALOPECIA. Other possible factors like dyes, haircut, washing the hair too often, the use of gels or whatever substances in the hair do not affect hair loss. 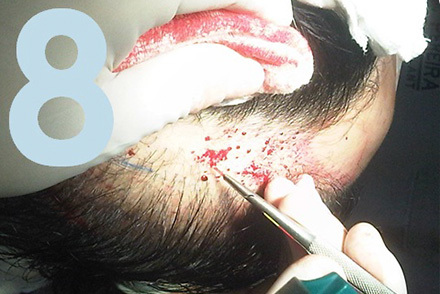 FUE is a wonderful procedure to recover hair lost in certain areas. 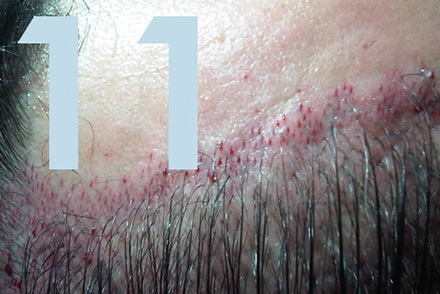 The most accepted procedure today is Follicular Unit Extraction or FUE. It doesn’t leave scars on the scalp. Transplanted area might be painful for 3 days. 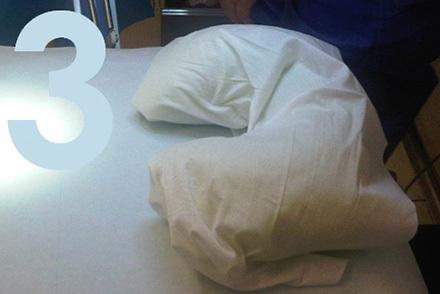 During the first three days, a circular shape pillow is recommended and patients have to sleep upside. 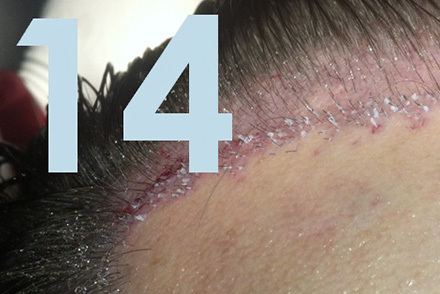 5 days after the procedure the scalp can be washed. The hair falls two weeks later and grows back three months later.